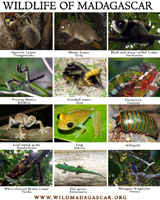 Consent to the use of the following PDFs for free distribution via print or otherwise is hereby given, provided that the content is not modified or altered in any way. 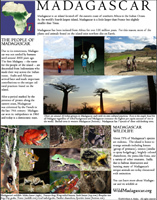 All rights reserved ©2005 WildMadagascar.org. 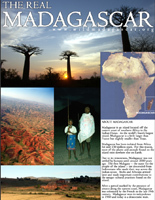 Several pages of information on Madagascar. 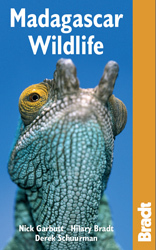 Includes reading comprehension quiz. 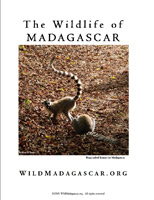 15 pages featuring wildlife of Madagascar. 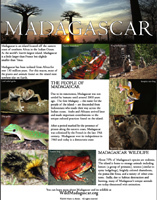 General overview of Madagascar including briefs on history and wildlife. 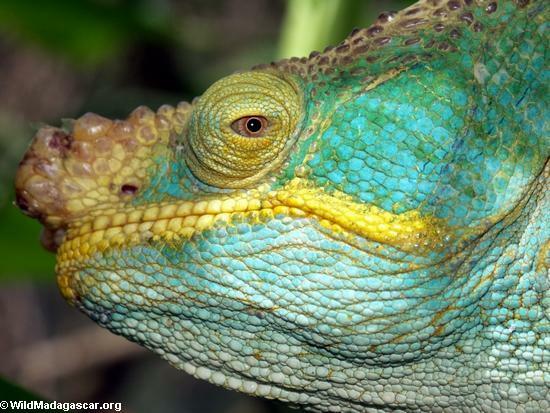 2-sided. 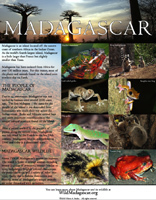 General overview of Madagascar including briefs on history and wildlife. 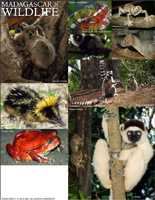 Frequently seen animals in the rainforest of Madagascar. 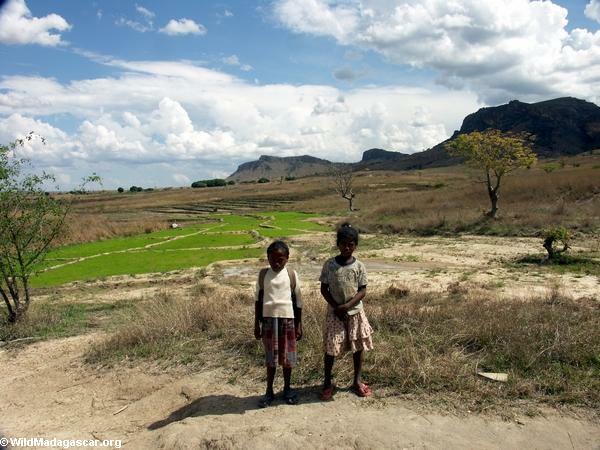 Includes names in English and Malagasy.